"Red Globe positive exception on difficult grape market"
The grape market has not been off to a very good start in 2019. 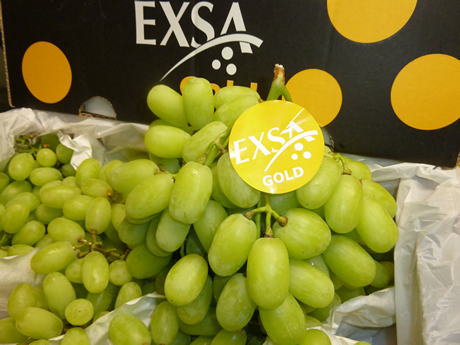 "It has been difficult since Christmas", says Eddy Kreukniet of Dutch produce wholesaler, Exsa Europe. "The market was not empty before Christmas. Then, large volumes arrived." "Peru was the biggest culprit. They had no less than 100% higher volumes than the previous year. South Africa also had a 12 or 13% higher production and Brazil - who are at the end of their season - produced 15% more grapes." "All in all, it was a question of stockpiling. Then, after Christmas, everyone frantically started with promotions. This always lasts a few weeks. However, factors including promotions in the German retail channels provided momentum to this market." "There, grapes were being sold for EUR0,99. These sales were also very much needed. We, therefore, have no regrets about them. However, it is clear that many grapes were sold well below cost price," continues Eddy. He does, however, see a light at the end of the tunnel. "The shipments from South Africa have not been too big these last two weeks. We have also made a big dent in stocks here. We simply have to get through this period." "The season has also been somewhat disappointing when it comes to quality. This is especially true for the last of the Brazilian grapes as well as those from Mpumalanga. Mpumalanga is a northern region of South Africa." "In the last month, Red Globe grapes have become the positive outlier. The export volumes of this variety were reasonably low from Peru. This was as a result of the high demand from Asia. This ensured that these red grapes are the most stable variety", explains Eddy. 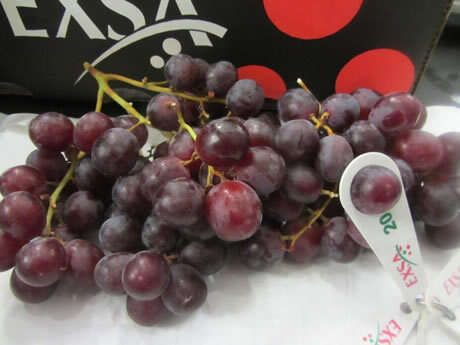 The first Indian grapes have since come onto the market. However, according to Eddy, the volumes are marginal. "We only need to expect the first serious volumes from India in week 8," he concludes.